Strike King Squadron Swimbait Jig Heads - 1/2, Green Pumpkin. 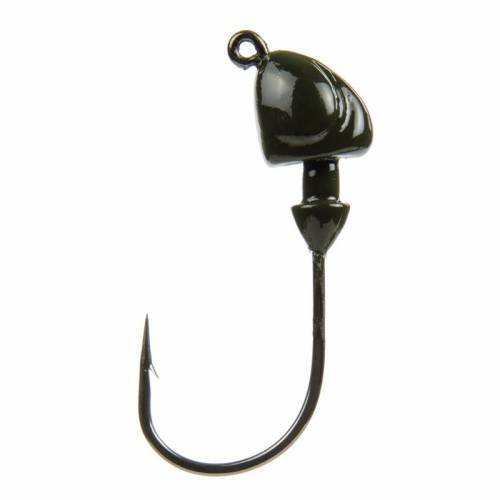 Premium swimbait heads featuring a wide-gap, chemically sharpened black nickel hook and durable finish. Great for internal or external use on all hollow body swimbaits, grubs, swimming tail baits and umbrella rigs. 3 per pack.